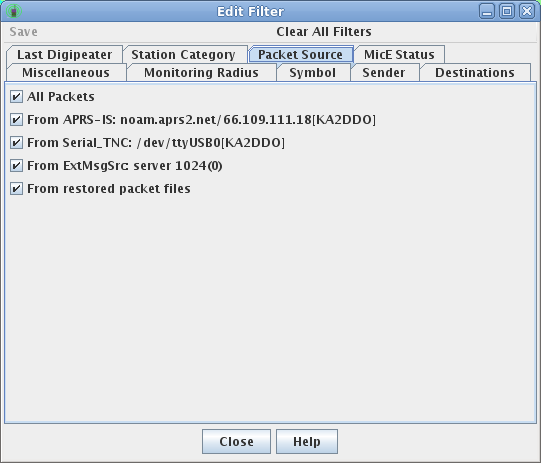 The packet source filter selects packets by the interface port by which the packet was received. All TNC and APRS-IS ports are selectable, as well as packets loaded from log files. By default, packets from all source ports are shown. However, any of the ports may be selectively hidden by unchecking its checkbox.